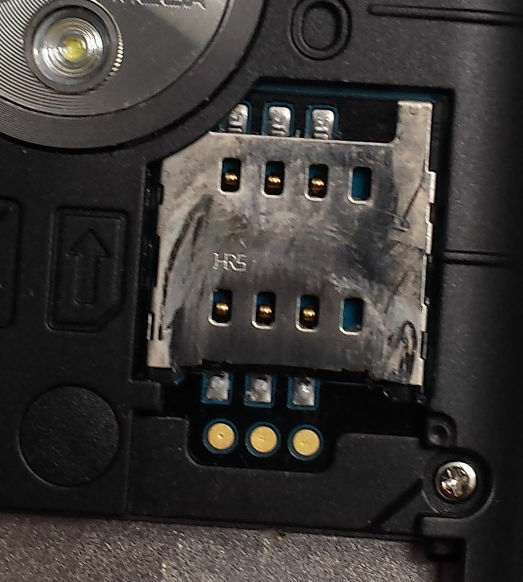 I was recently fooled by a bad design of a SIM Card Slot that fooled me to insert the SIM with a 180° wrong orientation. If you look at the picture below you will probably agree that it’s easy to get it wrong because the visual design easily makes you believe the angled edge of the SIM card should be at the top. This is also what I thought, but the handset didn’t recognize the SIM afterwards. So I had another look and found that I put in the SIM in the wrong direction. If you look closely you will notice that there is even an illustration that shows how to insert the SIM, but the visual design of the slot is “stronger” so that it attracts your view and fools you. The morale is: If you design such things keep an eye on design elements that can fool users.